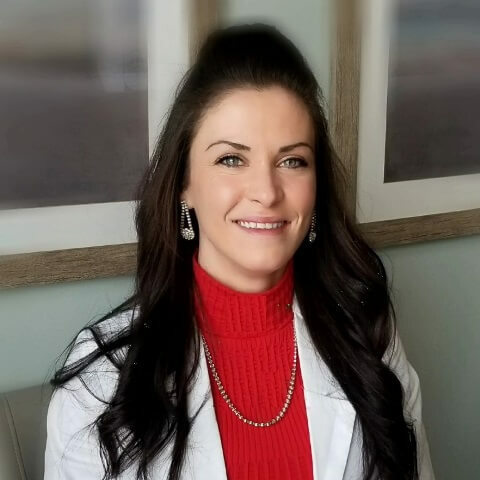 Jenna has been in the medical aesthetics field for 14 years, she has trained with the leading professionals in the industry and holds the highest credentials attainable in Canada and Internationally. She will provide Laser Teeth Whitening and other laser procedures, her mission is to continue to offer the most advanced leading technology and results in Medical Aesthetics Services. During her 14 years of experience, she was trained and certified to provide many medical aesthetic procedures like IPL Photofacial, Laser Acne Reduction, Laser Cellulite Reduction, Laser Tattoo Removal, Fractional Wrinkle Reduction, Mole and Skin Tag Removal, Teeth Whitening, Vein Reduction, Radiofrequency Skin Tightening, Microcurrent Physiological Theory & Performance, Microdermabrasion, Advanced Microdermabrasion, Dermal Infusion, Lamprobe, 1064 Laser Facial, Non- Ablative Skin Resurfacing, L.S.O. – Laser Safety Officer Certificate, Chemical Peel Course.